Travels With The Diva, Issue #002 -- Wine, Food and Music vacations! In this issue, I'll tell you about a couple of great vacations - the first is a river cruise through Europe that features wine tasting, as well as a private concert by the Vienna Boys Choir and an exclusive tour of the Spanish Riding School in Vienna for you horse-lovers! And we'll focus on some of the wine and food tours offered by Globus tours - they're one of the best in the business, and have some great specialty tours to offer. Remember when hundreds of passengers were stranded on the runway, in a plane, for hours on end? That resulted in an Airline Passenger's Bill of Rights, enacted in the state of New York. The bill required airlines to provide food, water, and clean toilets to passengers in this situation. Today, unfortunately, that bill was struck down by a Federal Circuit Court of Appeals. The court found that, while the bill was "laudable" (in their words), it conflicted with Federal authority over air travel. In other words, this is not a state issue and individual states don't have the authority to pass such laws. So I guess it's time to write your representatives in Congress if you're interested in enacting such a law on the Federal level. For more information, click here. A Special European River Cruise - General Tours is offering a special cruise from Passau to Budaspest aboard the MV Mozart from September 14 - 21, 2008. This is General Tour's exclusive charter of a Peter Deilmann cruise - among the best in Europe. And, you can extend your tour with a pre-cruise visit to Prague, or end the tour with a visit to Oktoberfest! Best of all, this cruise is offered at special prices, $1250 off per person!. Prices start at $2749 per person (based on double occupancy). Globus Tours has Food, Wine and Music vacations in the U.S. and Europe - Globus Tours has been in business for over 80 years - I took a tour of southern England with them a few years ago, and had a great time. It was my mother's one and only trip outside of the U.S. - she was 75 at the time - and I know it was an experience she never forgot. 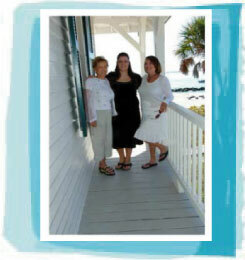 It was also one of my first "girl trips" - just me, my sister and our mom. So I have no qualms about recommending Globus for their land or river cruise tours. They have both land tours and river cruises that feature food, wine and music. Their tour of Italy focuses on the cheeses and wines of Tuscany, and starts in Rome, ending in Vienna. Their tour of France, in the Bordeaux region, focuses on wine, but also includes a cooking demonstration at the Cordon Bleu, and a chocolate tasting at the Museum of Chocolate! These are both land tours, and they also offer river cruises in France and along the Danube focusing on wine. Their U.S. tours include lobster, apple pastries and maple sugar in New England (tours take place in the fall only! ), or sourdough bread, Dungeness crab, and California wine in the San Francisco tour. Contact me for more information on any of these tours or cruises.